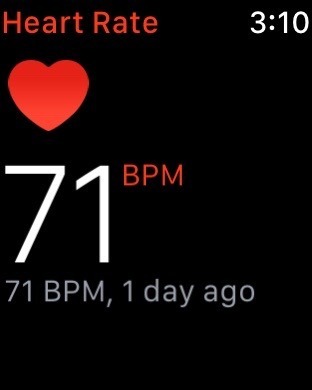 Previously on Apple Watch, the heart rate monitor could be found as a "glance" in watchOS. But the upcoming release of watchOS 3 removes glances entirely, necessitating the need for the heart rate monitor to become its own app, accessible from the app launcher. Aside from the new location, the app works the same as before. 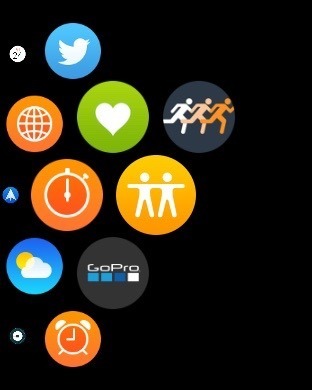 And for those who liked having a heart rate monitor quickly accessible, the app can be pinned to the new application dock viewable by pressing the side button. 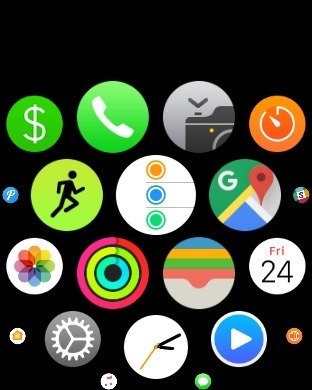 A trio of iOS apps are also making their way to watchOS 3, including the new Home app that will also debut in iOS 10. 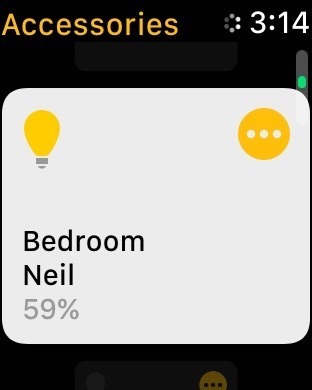 Like on an iPhone and iPad, Home for Apple Watch allows users to view their complete list of HomeKit-connected accessories, and to adjust settings on them accordingly. For example, with Philips Hue bulbs, the lights will be shown in the app and can be scrolled through, and tapped on to turn them on. 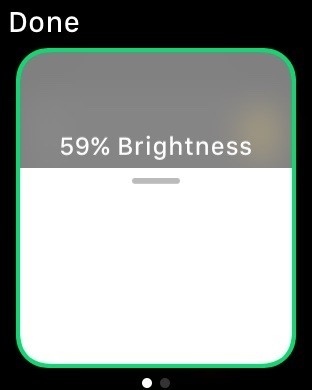 A "..." button on the top right of the icon also allows more advanced controls —in the case of bulbs, it allows users to adjust the brightness. 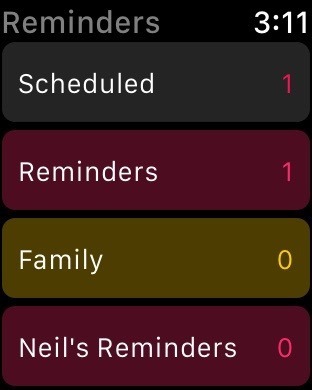 The Reminders app on watchOS 3 allows users to view different categories of saved reminders on their watch, and to view individual tasks. Tasks can also be marked as completed, and a firm Force Touch on the display gives users the ability to view a list of completed tasks. 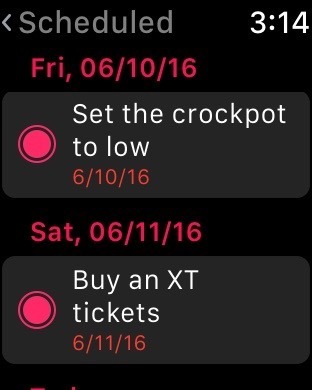 There does not appear to be a way to add Reminders within the app, at least in the first beta of watchOS 3. However, users can always rely on the Apple Watch's "Hey Siri" functionality to add a reminder by voice. Finally, the location-sharing Find My Friends app is also headed to Apple Watch with watchOS 3. However, as of the first beta, we were unable to get the service to work on our watch, and assume this will be fixed as Apple continues to polish watchOS 3 ahead of its release this fall. 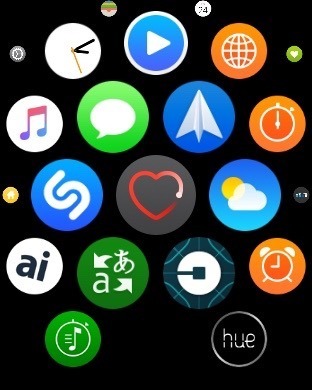 It should also be noted that all of these apps— along with all native Apple Watch apps —now have their own complications that users can place on watch faces. In a major design change, Apple also recommends that all third-party apps come with watch face complications, regardless of whether or not they have a need to show updated data throughout the day. 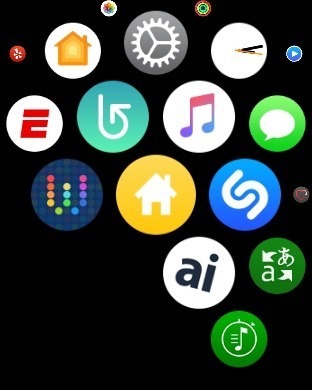 Apple intends to allow users to place whatever apps they choose on watch faces, making it easier to launch apps without the need to access the app menu or app dock.